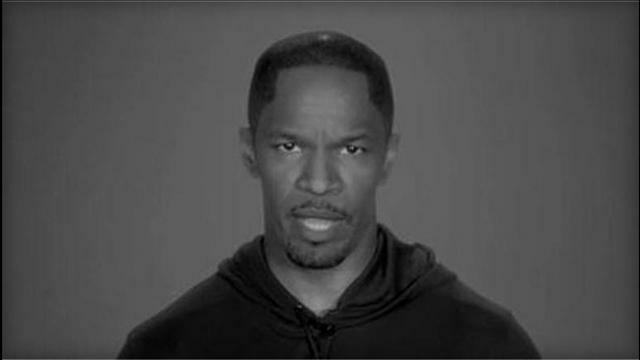 Jamie Foxx appears in the Demand a Plan PSA to plead for better gun control. Happy New Year, lovelies. I know I’ve been Casper the ghost for most of the holidays. Wish I could say I was traveling to some exotic locale like the bevy of celebrities you read about on Page Six. But, alas, that wasn’t the case, at least not the pool, sandy beaches and fruity cocktails that a vacation brings, however the mental break was the only respite I could afford. So, I shut my eyes for a while (more than to blink) and digest all the tragedy that enveloped our country this past month. And while Hurricane Sandy had me reeling from the wrath of loss and destruction nature left behind, the horrific Sandy Hook Elementary School shooting took me to an even darker place that ruined a joyous season and reignited my stance on gun control. So, unlike most Christmases when I’m going hoarse from singing Mariah Carey’s “All I Want for Christmas is You,” while the aroma of Christmas cookies wafts throughout my apartment, this year I begrudgingly took out my matted five-year old plastic tree, hurriedly cloaked the tree in green and red lights and unceremoniously stuck a bright star on the apex. My mood remained dim as 20 innocent faces remained on the TV screen and splashed across newspaper pages for weeks. 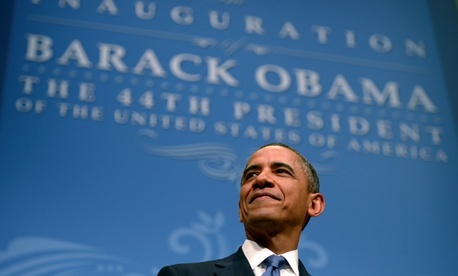 Obama basking in his 2nd presidential inauguration. 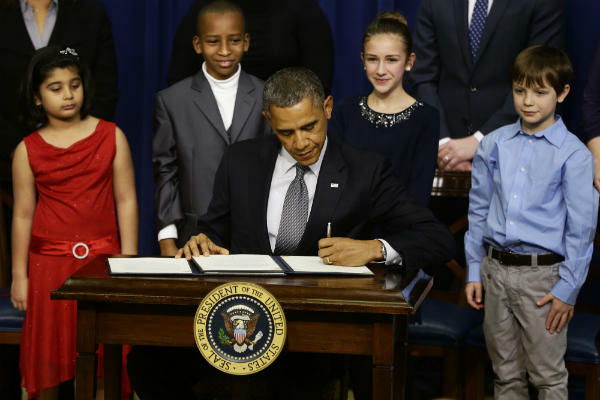 Long after we are gone, President Obama’s second inauguration will be scrutinized, compared to and analyzed for future generations to judge. Amid all the pomp and pageantry we all witnessed Monday, one thing stood out the most for me. The promise that we are all united as ONE. We are ONE country that should have each other’s back no matter how different our skin, principles and sexual preference. So, we should learn to love each other and protect each other from the evil that surrounds us. What better message to have on the 50th anniversary of Martin Luther King’s famous “I Have a Dream” speech. We the people declare today that the most evident of truth that all of us are created equal- is the star that guides us still; just as it guided our forebears through Seneca Falls and Selma and Stonewall; just as it guided all those men and women, sung and unsung, who left footprints along this great mall, to hear a preacher say that we cannot walk alone; to hear a King proclaim that our individual freedom is inextricably bound to freedom of every soul on Earth. Our journey is not complete until all our children from the streets of Detroit to the hills of Appalachia to the quiet lanes of Newtown, know that they are cared for and cherished and always safe from harm.